Have you ever driven down the road and felt your steering wheel pull to the left or right? Does your steering wheel vibrate? Have you noticed that your car tends to drift outside of your lane? Have you looked at your front tires recently? Are they worn out particularly on the outside edge? If you’ve noticed these things to be true, then your wheels may be out of alignment or your tires need to be replaced or both. Having the right mechanic look at your situation to determine exactly what the cause is and repair or replace only those parts that need replacing is exactly what I do here at John’s Quality Automotive, Inc. Don’t get ripped off paying for unneeded or unnecessary repairs. Why do wheels go “out of alignment”? 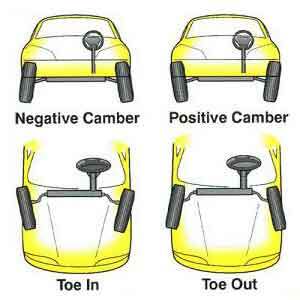 Over a period of time and travel, every car is going to experience out-of-alignment conditions. Driving on bumpy roads, hitting potholes, running into curbs can throw your car’s alignment out, not to mention shake you up a bit. Even if you don’t hit any curbs, your tires will eventually begin to wear down and lose their tread and out of alignment situations can start small but over time can become more pronounced, causing outside tire tread wear. A wheel alignment will adjust your wheels to the proper, true specifications. If you keep up on this, you’ll save time and money as neglecting to check alignment results in wear on your tires and tires are much more expensive than an alignment. If your alignment has been over-looked for sometime, it may be necessary to rotate or replace your tires and re-align your wheels. But the good news is, that once it’s done your car will drive straight and will handle properly. Often larger auto repair places will try to sell you extra parts and services, when all you really need is a wheel alignment. Struts, shocks, tie-rods, ball-joints, bushings, wheel bearings are so called extra parts and services they will say you need, when you really don’t. The average wheel alignment job is somewhere around $70 to $90, but they can run the bill up with these bogus “needed” repairs up to as high as $300 to $1500! Even if you do really need those things, my price will usually be half of what you’d get charged for at these other shops. But most times, you don’t need them and you’re being price gouged. Have you recently been quoted for similar repairs? Why not contact me and get a second opinion on the matter. Why use John’s Quality Automotive? At John’s Quality Automotive, Inc. you’ll never be charged for what you don’t need. You’ll never be “bullied” or “frightened” into getting unneeded repairs that you weren’t expecting on the grounds that your car is unsafe without the repairs. 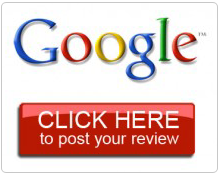 I will honestly evaluate your car, let you know what needs to be fixed now, what can wait and what you don’t need. I guarantee all work for 12 months, 12,000 miles and you’ll never be “sold” on parts and repairs you just don’t need.